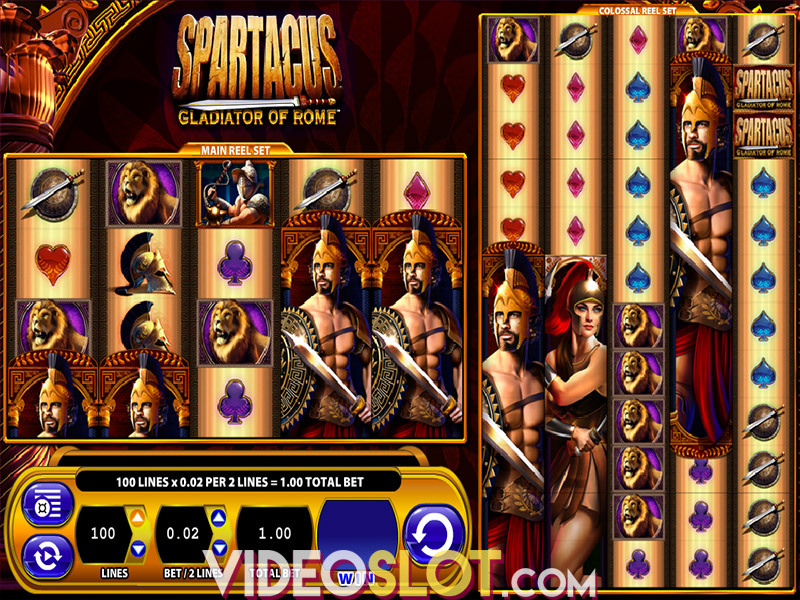 The legendary Spartacus comes alive on this amazing slot game from Williams Interactive and with 100 paylines, players will find they have huge opportunities to win not only base game payouts, but also huge wins from the bonus round when triggered. This game is packed with exciting features, including colossal reels, free spins and even a gamble feature that can allow players to increase small wins that are achieved on the game. 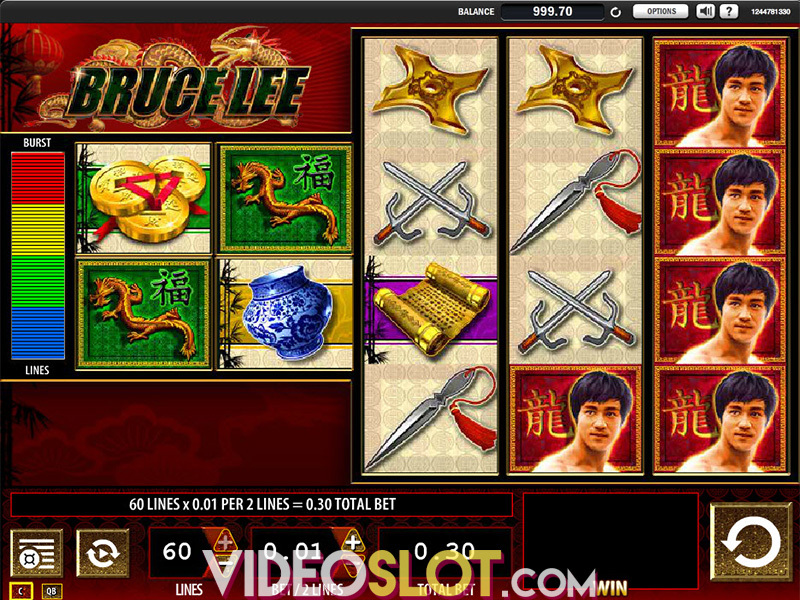 This video slot can be played for a variety of bet amounts ranging from $0.01 per payline and there is a maximum bet of $250 per spin. With Spartacus, there is a game logo that will act as the wild symbol and this can appear anywhere on the reels. The wild will take the place of most symbols in the game with the exception of the scatter. While the wild is not a multiplier, it will definitely be a beneficial symbol and will help to create many winning combinations. The Coliseum symbol is the game scatter and this is needed to trigger the free spin round. Players will need three or more scatters to s tart the bonus and they will win between 8 and 20 free spins based on how many scatters have appeared. During the free spins, Spartacus is the centre of attention and will be a stacked symbol on the main reels. The wild can hop over to the colossal reels, making many of those positions wild as well. 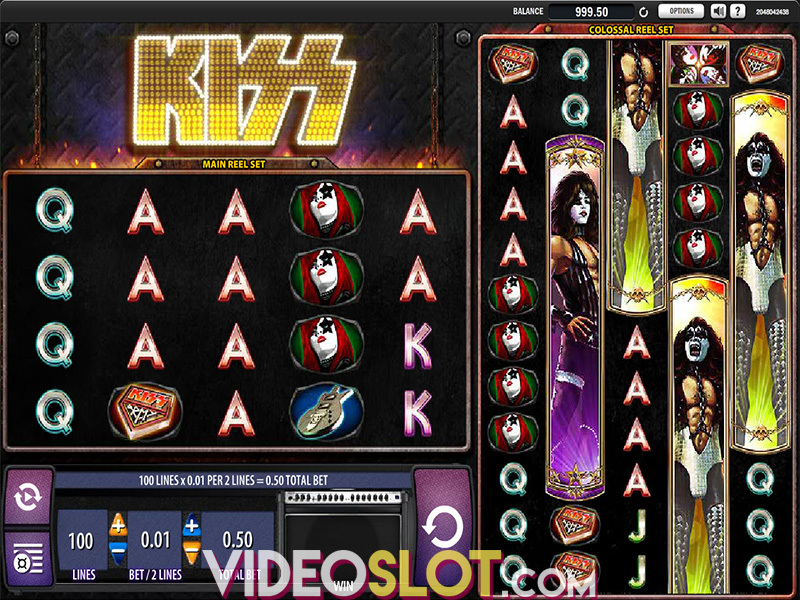 The Colossal Reels make this game quite exciting as the feature adds additional paylines to the standard game. The main set of reels offer five reels and five rows of symbols and the colossal reels offer an additional 12 rows for more chances to win. Spartacus is a unique game and players will be drawn to the layout of the game. The only bonus round is the free spin round, but here, the stacked wilds will come in handy and will help to offer the best wins on the game.